During medical residency I completely stopped flossing my teeth. I’m serious. I just stopped. In full disclosure, some nights I even flopped into bed without brushing. I know, sounds gross – but it’s true. When this happens it’s called willpower fatigue. You’re keeping all the balls in the air that you have to in order to meet other people’s expectations, so the only person you cannot show up on is yourself. And no matter how much we want to make ourselves do the things we know we need to do, when we’re in willpower fatigue, we just can’t seem to make it happen. Low willpower isn’t your fault, bad karma, or a genetic defect! 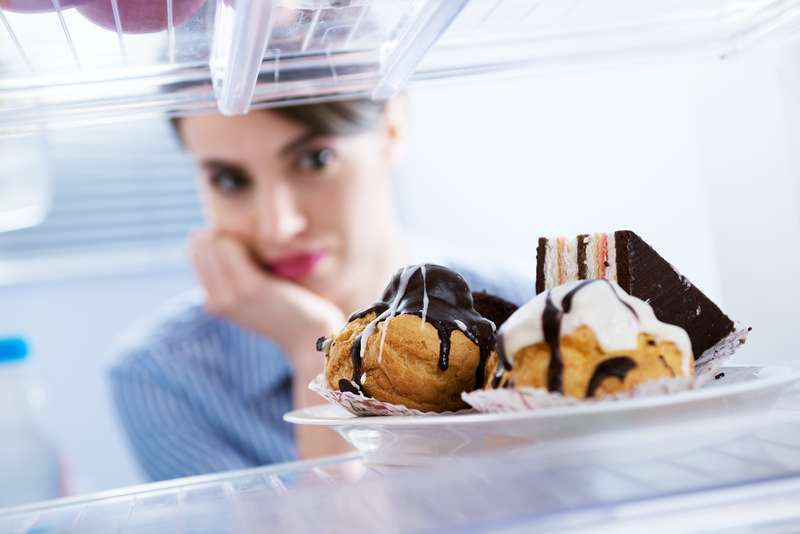 Learn how willpower fatigue could be sabotaging you! Willpower Fatigue: The Great Saboteur! Willpower fatigue happens due to chronic stress, or what I call “being stuck in the on position.” Chronic stress triggers a primitive response system, the fight or flight response that is designed to protect us from occasional danger. But for most of us living crazy busy stressful modern lives, this stress response stays activated in a low to moderate level, with peaks to the extreme (think unexpected bill showing up in the mail), almost all the time. As a result, we regularly pump out a hormone called cortisol. Now cortisol is an amazing survival hormone that enables us to effectively respond to danger, but when we’re exposed to cortisol overproduction day in and day out, it has some not-so-great side effects. For example, it causes us to store belly fat giving us tummy flab and muffin tops; it wreaks havoc on our blood sugar causing blood sugar crashes, insulin resistance and eventually diabetes, it messes with our hormones making our cycles irregular, it leads to depression and anxiety, and interestingly, it physically and chemically sabotages your willpower! Cortisol can actually reprogram the frontal cortex of your brain, where willpower and executive function come from, so that you can’t use your willpower. This keeps your brain and body in survival mode, where primitive instincts rules and control goes out of the window! So while most people think that willpower is something you can simply control, or that you either have it or you don’t, it’s neither. Your ability to harness your willpower is proportional to the stress in your life! So if you’re willpower isn’t working, it’s not your fault. You’ve probably just been under too much stress, for too long. The good news is that your brain is an amazingly malleable collection of proteins, fats, and other molecules that can, with the right care, environment, and nurturing, re-educate itself! You can heal your willpower by loving your brain back to health! One of the biggest dangers our brain perceives is when it’s not getting enough fuel (glucose, aka sugar) to do its work. When you’re burning through fuel because of stress and exhaustion, or when you’re so busy that you’re skipping meals or eating fast foods that don’t provide sustained fuel, your primitive brain goes into a screaming red alert and tells you to get fuel fast. Let’s say you’ve just started a Paleo diet. You want to lose 5, 10, or 15 pounds in the next little while. You do a great grocery shopping on Sunday afternoon, prep your veggies for the week, you’re psyched, and ready. But by Monday afternoon at 4 pm, you’re over hungry and undernourished. In fact, you’re getting hangry. It’s been a tough day. It was hard getting the kids off to school this morning. You had an argument with your partner over whose turn it was to take the dog to get cleaned on the way to work, and who’s picking pooch up on the way home. The project at work you thought was due on Tuesday was actually due today, and your younger colleague, who has no kids and was able to work on the project all weekend had hers done and in wrapping paper with a bow around it. You need fuel but shoot, you left your bag of dry roasted organic almonds on the kitchen counter at home in the rush of the morning. So you head down to the cafeteria for a quick snack. In your mind you’re telling yourself to eat something healthy – no sugar, no carbs. But when you get to the cafeteria something else happens. Your hand almost as if it belongs to someone else, grabs the chocolate croissant. Screw it, you say, you can restart the diet tomorrow, and you eat the croissant. Are You Stuck in the On Position? How do you know if you’re stuck in the stress response on position? Well, for one, the above scenario seems remotely familiar. Or you’re chronically overwhelmed, not sleeping well or are waking up tired, you’ve put on some weight around your middle or are having a hard time losing weight no matter what you do, you can’t seem to stick with a diet or exercise plan, you have forgetfulness or difficulty concentrating, you’re craving sugar or carbs, and coffee or chocolate is your best friend, especially at 4 in the afternoon! For more symptoms, which relate to what is called “adrenal fatigue,” go here. Here’s how to get out of the stress response, heal your brain, and reboot your willpower, starting now! While you still have to get your kids to school in the morning, show up at your job, or make it to your grad school classes, while keeping up with all of the other demands of life, most of us take on more than we have to because we have trouble saying no. We don’t want to hurt a friend’s feelings, you don’t want to miss out on an opportunity, you feel your can’t disappoint a family member, you having trouble saying no to your boss at work. The problem is that all of these yesses lead to burn out, and ultimately willpower fatigue. I recommend writing down all of the things you have on your plate. EVERYTHING. Now of those, identifying your top 5 priorities and what those require in order to be done well. Don’t stretch it to 7 priorities. Keep it at 5. Write those down on one piece of paper and make a plan for getting everything else that was on your list off of it. Perhaps you can move those to a down the road list. Maybe you can hire some of those things out. Going forward, starting right now, only say yes to those things that fit in perfectly with your 5 top priorities. Your life will be transformed. My health (includes eating well, time for exercise, time in nature, time to play and laugh and relax. My medical practice/patients, which I keep small in order to provide very individualized care without the risk of burnout plaguing so many doctors. For the record, if it doesn’t fit into the above, I say “No thank you” to the request or opportunity. Think about trying to making good choices when you’re well nourished, compared to when you’re famished! It’s almost impossible to make the healthy choice when you’ve gotten overly hungry, because low blood sugar tells your brain, “Houston, we have a problem!” To keep your blood sugar steady, never skip breakfast and always make sure your first morning meal includes protein foods and some good quality fat; make sure your lunches and dinners are also based around protein and good quality fat – these are steady fuels for your brain. Don’t let yourself run into food emergencies – situations where you just don’t have quick high protein snacks on hand. So get in the habit of stashing some roasted almonds, organic meat jerky, a hard-boiled egg, or something healthy and hearty where you can reach it easily for a snack. Finally, avoid sugary foods and white carbs which don’t provide lasting energy, and which lead to sugar crashes that make the situation even worse! Regardless of research that occasionally shows that all we need is 6 hours of sleep each night, 98% of us really need 7-8 hours of sleep nightly to function optimally, and some of us need even more. Sleep lets your body heal and your brain organize and properly store information. During sleep, your cortisol levels refresh for the next day. So making sleep a priority is essential for getting your willpower back. We simply make better choices when we’re well rested. To repair and restore good sleep, head over here. Relaxation can quickly shift you from the stress response, which is activation of the sympathetic nervous system, to a restorative response, or the parasympathetic system. This can occur with the practice of regular relaxation techniques such as meditation or yoga, and with down time where you read a novel, watch a funny movie that makes you laugh, yak on the phone with a close friend, do something playful, or get out in nature. Most of us think of relaxation as a guilty pleasure or a luxury when in fact, it is actually the key to your health and your ability to be the most effective in your life. If stress has got you whipped, and you need a little extra help getting things back in balance, a small group of herbs called adaptogens, because of their ability to influence the stress response and help us adapt to life’s demands, can be helpful. A few of my favorites are Ashwaghanda, Rhodiola, Holy Basil, Eleuthero, and Reishi mushrooms. Adaptogens are discussed here. 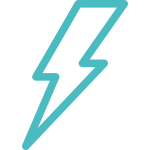 I recommend using them for at least 2 weeks, and up to 3 months to help you reboot your willpower. Okay sister, remember, low willpower is not your fault. It’s not some cosmic karma or genetic defect. And it’s why you haven’t been able to stick with the things you deserve to do for your health and happiness. Willpower fatigue is the result of social and systemic problems that keep us all stressed out! Taking stock of what’s going on in your life that’s causing willpower fatigue, learning to say no more, and to take care of you is all you need to get your willpower back on track. The rest will be history! Thank you for this. I am exactly at this place. I am in the process of finishing my first book, creating my first online course after getting the beta-test feedback, and working my bridge job of teaching Pilates and Yoga for local studios all while being a mama to a 3 year old and attempting to be a present partner for my man (not succeeding there very well.) I teach about living on purpose, and I am, but I am seeing that I have created a perfect storm for overwhelm and dropping balls. Thank you for the tips on herbs and the reminder that sleep must be a higher priority - even when zoning out watching Scandal feels like "self care" after a long day of creating, mentoring, teaching, and taking care of my family. This is something that has definitely been a part of my life. I often visualize myself as a juggler with too many balls in the air. While I attempt to apply all my discipline to keeping those balls in the air, I find myself extremely disciplined in some areas, but slipping (and "dropping the ball") in other areas. And, suffering from perfectionism, as you mentioned in your previous post, I wonder why I am unable to function highly as an engaged parent to young children, excel at my career, build a new business, cook wholesome meals, study, maintain my fitness... Thanks for sharing these posts Aviva - knowing I am not alone makes it easier to consider my choices and treat myself with more compassion. Thanks for this, Aviva! I'm a busy mom who teaches RPM indoor cycling, runs the school PTA, is taking a class at a community college, has a small business, and manages/runs our household. I often feel guilty when I take time for myself, as infrequent as it is. I've also had trouble losing weight in the past couple of years and often feel tired. I KNOW these symptoms are related to my "ON" button. So, lately, I've been practicing saying NO. I used to think I just wasn't "good at saying NO", but I'm realizing it's a skill that you have to practice and get better at. I'm leaving as head of the PTA at the end of this year and have reduced the number of classes I'm teaching at the gym. Saying NO to people I care about/things that seem important is so hard for me, but I'm determined to keep cultivating the skill, so that I can feel my best and take care of mental health. Thanks for this post and your last one on perfectionism. It's comforting and buoying to hear that you've struggled with these things as well. Well, I was really hoping this was going to be a piece about why conventional wisdom about the necessity of flossing was wrong and that we shouldn't be doing it. Alas, it was still another great piece! Ha, me too! Flossing is one of those little self-care things that easily slips away from me. I was hoping to find out I could just take it off my to do list and stop feeling bad about losing my willpower for it. I guess I need to turn to the adaptogens to make it seem like a doable task once again! Are adaptogens safe during pregnancy? This has been a very stressful year and I'm really wanting to find a way to lower my cortisol. I know it's up there. I have ashwaganda on hand but don't know if I should take it at 7 weeks pregnant. grad student here -- needed this reminder today, especially in the middle of midterms with no clean laundry and no decent food in the apartment. Thank you. Great article to remind us that we need to take care of ourselves, and also to make us aware of what we're experiencing, instead of undergoing it. For me (and other mama friends), it is all about crazy toddler sleep. When they wake you up constantly between 3 and 10 times at night, how do you cope with the long-term lack of sleep? Blah! We need to find a solution! Thanks Aviva for giving us our will to act back!